The ideological divide between “urban” and “rural” is deeply rooted in the American consciousness, fraught with tensions stemming from false memories of a pastoral past on the one hand and the American yearning for progress as exemplified by the industry of the city on the other. Over the last twenty years, however, rural issues have been wholly overshadowed by design’s fixation on urbanization. Though urban design and planning are well established subdisciplines of the design professions, rural issues receive limited pedagogical or practical emphasis. Across design disciplines, the contemporary city is touted as the key to technological, economic and cultural innovation while rural decline is accepted as inevitable, if not necessary. This resignation to the eventuality of rural decline has facilitated an exploitative relationship between urban hubs and their rural hinterlands. 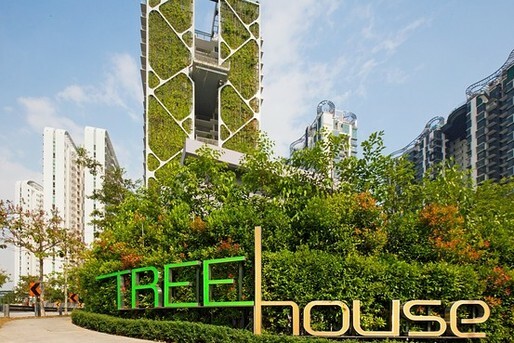 In land-scarce Singapore greenery too is going sky-ward, with a 24-storey condominium earning a Guinness record for boasting the world’s largest vertical garden. Se creará un Fondo Nacional de Eficiencia Energética (FNEE) donde se priorizará el ahorro energético y la reducción de emisiones de CO2. El Consejo de Ministros ha puesto en marcha el Plan de Medidas para el crecimiento, la competitividad y la eficiencia, que recoge, de una manera organizada y analítica, una serie de medidas dirigidas a emprender y desarrollar una estrategia conjunta para el segundo semestre de 2014 con un paquete de acciones determinadas. Al mismo tiempo aprueba un nuevo Real Decreto (Pendiente de publicar en el BOE) que regula la actividad de producción de energía eléctrica a partir de tecnologías renovables. Creación del Fondo Nacional de Eficiencia Energética (FNEE) de 350 Millones de Euros. – Dotado de hasta 350 millones de euros anuales procedentes de los Fondos Estructurales Europeos correspondientes a la Administración General del Estado, que aportará el 35% de la dotación, procediendo el resto de las liquidaciones derivadas del sistema de obligaciones, de los ingresos derivados de las subastas de derechos de emisión y de las consignaciones presupuestarias que, en su caso, se efectúen. “We need to change the way we think about infrastructure in America,” says Rob Puentes. It’s not just about the federal government fixing roads and bridges anymore. In this podcast, Puentes, a senior fellow in the Metropolitan Policy Program, explains how our states and metropolitan areas, through public and private partnerships, are moving forward on the nation’s infrastructure goals. El Ayuntamiento de Valencia, a través de InnDEA Valencia, participa en la jornada Climate-KIC celebrada en Bruselas. El objetivo del evento es determinar el papel que tienen las ciudades a la hora de generar economías bajas en carbono. La jornada, organizada por Climate-KIC con ERRINN, se basa en los resultados de Ciudades Transición, un Proyecto de Innovación de distintas ciudades europeas, entre las que participa Valencia. -¿Qué mejoras pueden llevar a cabo las ciudades que forman parte del proyecto? -¿Qué herramientas tiene Europa para lograr ese “Cambio Climático” positivo? La jornada contará con la presencia de alcaldes, responsables políticos y representantes del proyecto Ciudades Transición. Hydrogine, the hydrogen engine developer that wants to offer consumers an alternative to internal combustion engines and electric vehicles, is on Kickstarter seeking $750,000 from backers. The company has spent a decade developing a hydrogen-powered engine and recently received a international patent (US 8590496 B2) for their efforts. Their engine is fully scalable for use in transportation, manufacturing and power generation. 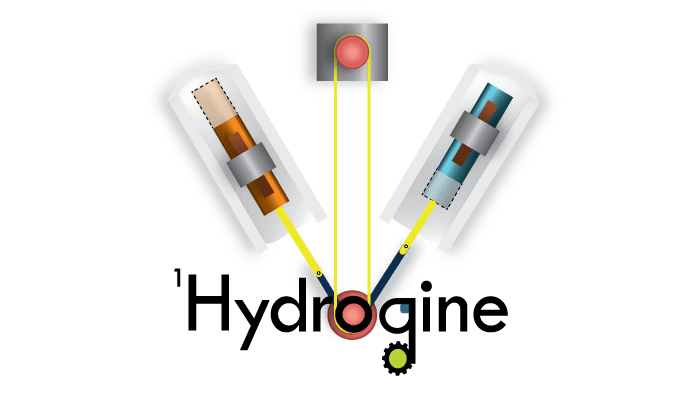 The inventors claim that after months of failure with one of their test engines, an accidentally thrown wrench caused a change in the flow of hydrogen energy and thus led to the breakthrough that is the Hydrogine S fuel technology today. Hydrogine comes out of research at MIT and NASA. The credentials of the inventors seem pretty good. And they have been at it for a considerable length of time. So maybe it works but how? From the information available on the web I have been able to glean the following. The Hydrogine S engine uses a proprietary flow battery containing sulfuric acid which when released in intervals provides a constant charge to the engine cylinders housed in a v-block made from plastic resin composite. In essence it is an internal combustion engine that runs on water. The water serves two purposes, acting as coolant and when stripped of hydrogen atoms, the source of the engine’s power. For every 20 parts water the system uses 1 part sulfuric acid. Both fluids are readily abundant. And unlike gasoline or diesel engines there is no engine oil, no lubricants and solvents, no metal to metal contact and no carbon footprint. Despite its distance from the center of New York City, Co-op City’s site and scale make it prominent on the landscape: anyone who’s driven north on I-95 has taken note of this final cluster of high-rises before crossing city limits into the lower density suburbs of Westchester County. Critics, historians, and even the Supreme Court have noticed as well, weighing in since construction began in 1966 on what the complex signifies for housing finance, site planning, cooperative ownership, ethnic and racial diversity, and tenants’ rights. It’s become both a positive and negative case study in how to value design, how to maintain affordability, and whom to send the bill for upkeep. But it is far from prototypical. At every juncture in its history, Co-op City has been deemed exceptional: each article or essay mentions its status as “the largest cooperative housing development in the world” or “the tenth largest city in New York State.” But the superlatives that set it apart don’t mean it has no lessons to offer the wider conversation on housing. Two years ago, Juliette Spertus and Susanne Schindler contrasted Co-op City with Twin Parks, another, less well-known affordable housing development in the Bronx. And this week, Caitlin Blanchfield returns to Co-op City and uncovers the particular nuances it adds to our understanding of social infrastructure, intergenerational continuity, community pride, and, of course, affordability. Typecast is the Architectural League’s long-term investigation into architectural typologies, starting with “towers-in-the-park.” The term refers to complexes of multi-family, high-rise housing, located on a dedicated “superblock” of open space that is disconnected from the street system. This project seeks to move beyond stereotypes of architectural form by revealing the social and spatial specificities of distinct sites that share physical characteristics and philosophies of design but differ greatly in their lived experience. A recently released documentary entitled ‘Bye Bye Barcelona’ provides insight into the adverse aspects of tourism as experienced by the locals. In spite of an array of restaurants, food joints and souvenir shops, often service to visitors is preferred over locals, thus disrupting ordinary, daily functioning of the city. Barcelona offers high art, safety and security, exciting nightlife and beaches. It is a magnet for attracting large crowds and tourism-oriented business. This nonetheless comes at a cost as the city becomes standardized instead of expressing its local flavour more so. This is intensified as working-class areas like El Born and La Barceloneta have been converted into tourist hotspots thus causing displacement of locals. The long-term residents who have shared their opinions and stories through the documentary, are in favour of a revised policy by the city government that creates more equitable conditions and the right balance for both tourists and locals alike. Reports from the Centre for Science and Environment (CSE) show that over 70% of the buildings that are to be part of the skyline of Indian cities by 2030, have not been built yet. This consists not only of but also offices but also homes and commercial establishments. “What is worrisome is that Indian cities use more of precious water and energy and generate massive amounts of waste. The construction boon can be a bane as unfettered growth can have a damaging impact. In India, buildings are responsible for 40 per cent of the energy use, 30 per cent of the raw material use, 20 per cent of water use and 20 per cent of land use. At the same time, they generate 40 per cent of carbon emissions, 30 per cent of solid waste generation and 20 per cent of water effluents. With almost 70 per cent of the building stock in India yet to come up, the country is looking ahead to a critical situation,” explains Anumita Roychowdhury, CSE Executive Director (Research and Advocacy). According to the report, other aspects that need to be kept in mind are building energy-efficient buildings and further that much of the construction takes place at the city periphery which translates into long distance to work for commuters. The tallest structure in North America is set to be the US $1.5 billion project designed by the Solar Wind Energy Tower Inc. The building would be a 686 meter tower located in SanLuis, Arizona that would convert the desert heat into a draft that could be in turn used to produce electricity. The tower mists water at its top, that leads to the air being cooled and becoming heavier. The draft that is created as the cool air sinks is then driven through turbines at the tower’s base. This force then helps to generate electricity. The tower resembles a nuclear plant cooling structure and has the potential of generating energy at 435 megawatt-hours over the duration of a year. The city council of San Luis has given the green signal for the project and would also be providing the water necessary for its operations. The location was chosen after much analysis using software that calculated the energy production potential of the site. Local weather data was utilized to estimate the acreage and dimension specifications as well as financial considerations for the tower.